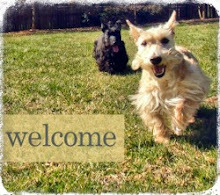 Welcome to the new ScottieMom.com, friends! We hope you'll kick off your shoes, wipe your paws and stay a while to check out our new place. 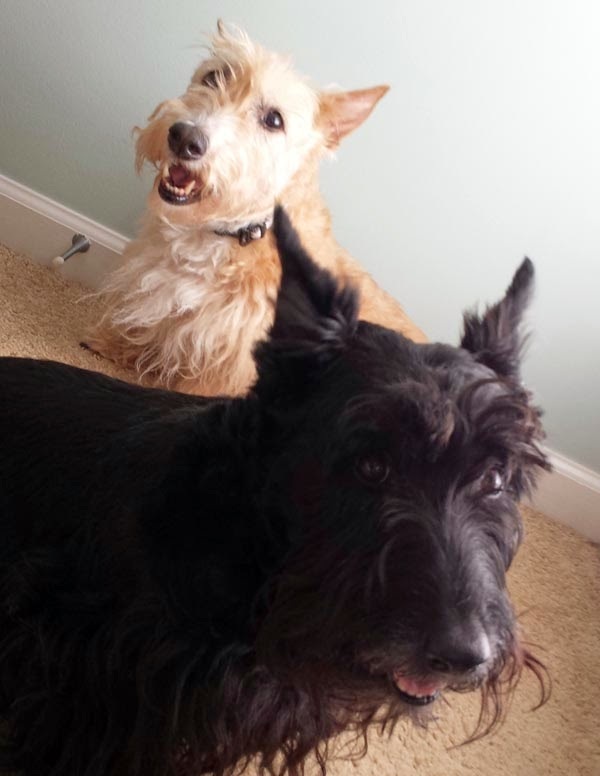 You'll notice you still have access to the same, great content - namely, the adventures of Heather and Mr. K. The only difference is that our stories are better organized by category and we've added a new page dedicated to Scottish Terrier rescue efforts. If you know of a rescue story that needs telling or simply a Scottie pup in need of a little help finding a forever home, drop us a line! Because Scottie Moms like you and me are constantly on the hunt for anything with Scottie dogs printed on it, we've launched a store featuring the new Scottie Mom logo. Many of you requested that we make our logo available on things like stickers and tote bags so we did just that. The store will be updated a few times every month so check back for new Scottie designs and products. If you don't see something you like but know exactly what you're looking for, do not hesitate to get in touch and we'll work our magic to get it designed for you. 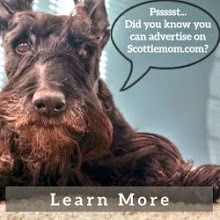 Did I mention we'll be unveiling an extra special Scottie Mom wedding line soon?! Last, if you like the new site (and we certainly hope you do! ), please do us a favor and show some love to fellow mom blogger V from Life +1. V not only created this cool new place for Scottie Moms to hang out, she blogs about her own life after baby, world travels, and yummy foods. Spoiler alert: you may experience a rumbling in your tummy after looking at some of V's foodie photos. Don't worry - this feeling will pass and morph into a daydream of visiting all the fabulous places she's traveled. Oh, how could we forget? This mom blogger extraordinaire also happens to be a German Shepherd Mom. Pop over and say hello! A few minor, albeit pretty important updates we thought you'd want to know about - look for full posts with more in-depth details on the following soon. After two V-E-T visits and roughly $1,500 later, Heather and Mr. K once again have clean bills of health. Heather's test results came back fine and the only thing the doctor ordered was that she eat more food. Somehow, I don't see her complaining about this one bit! Mr. K has been up to his usual shenanigans and we have lots of Scottie-tude to report. From puncturing a hole in Scottie Dad's very expensive World Cup soccer ball to making such a mess of the Scottie House that professional cleaners had to come help, Mr. K has done his part keeping Scottie Dad and I on our toes. The Scottie House will become part-Shih Tzu House tomorrow! You might remember our friend Lucky...he'll be coming to stay with Heather and Mr. K for two weeks while his Shih Tzu Mom and Dad honeymoon in Alaska. Hip-hip-ArRRrOo!